I am so excited to be reviewing the Atopalm Real Barrier Extreme Cream for you guys. The brand Atopalm has been on my radar for almost a year so I was thrilled when I won this cream! I have read numerous reviews from others out there like me with sensitive skin that found the Atopalm product line to be very effective. This claims to be a rich, long-lasting, highly moisturizing cream that helps repair a damaged or compromised skin barrier. The skin will be calm and moisturized immediately after application. The "Real Barrier" line is exclusive to the US only. The brand began its journey nearly 20 years ago after research scientist, Dr. Park created a hypoallergenic formula safe enough to use on his newborn son. His son suffered from dry, cracked and painful dermatitis and after years of devoted research, Atopalm was born. Today, his vision is now available to us, a line of products that heal and protect even the most sensitive skin. To start, I like to begin all reviews with stating my skin types and concerns at the time of testing the product. I would also like to mention YRMV (your results may vary) as a disclaimer. My skin during this time of the year is normal to combination. However, my skin can be sensitive, temperamental and acne prone. I have found that with the incorporation of a retinoid such as my Curology treatment or Differin, my skin is less acne prone, however, using tretinoin makes my skin more prone to dehydration and flaky. My review will reflect how this product works for my personal skin types and condition. Every product I use goes through a very detailed patch testing period. I always patch test and I recommend patch testing to everyone. Although there is an argument out there that patch testing doesn't actually work according to The Beauty Brains, but patch testing has saved my skin from some pretty serious negative reactions. I do agree with TBB (and love their podcast btw) that patch testing does not work in effectively evaluating whether a certain product will cause breakouts. However, I do believe patch testing will help determine if your skin is allergic to the ingredients in a product. This type of reaction is seen in the form of itching, stinging, intense flushing, burning, rash or hives. I introduce new skin care products to my easily irritated and sensitive skin by patch testing. Patch testing can look different for everyone but for me, I test products in stages. For this cream, I applied it to my more sensitive areas which happen to be on my neck, chest and behind/in front of my ears. I applied this product twice within a 24 hour period. If all goes well, I begin to use the product on certain parts of my face, working up to using the product all over. This cream comes in a sturdy, white plastic jar that contains 1.7 fl.oz / 50 ml. Some stand out ingredients includes hyaluronic acid and a patented dual ceramide complex that helps to bind moisture to the skin. Squalane, mistletoe, and phytosterols are all anti-inflammatory and panthenol and allantoin help calm. The star ingredient in this formula is madecassoside which not only soothes and calms, madecassoside also helps protect the skin from external environmental irritants and helps stop the skin from becomes more sensitive to such factors. This amazing ingredient is one of four principal bioactive compounds in the plant extract centella asiatica, one of my favorite ingredients for my sensitive skin. And finally, at the core of the entire Real Barrier product line, this contains the MLE complex that mimics this skin's natural lipid barrier seen here. First, the scent of this is dreamy! The formula contains a mixture of lavender, orange, and vetiver oils. The combination not only smells divine but lavender is antibacterial and vetiver is anti-inflammatory. The scent is very subtle, which is a good thing. Does it sound weird that I complain about highly scented skincare but I wish the scent of this product was stronger! Anywho, the cream has a thick texture that melts on contact and is very spreadable despite the density. Advice moment: This does contain natural fragrant extracts which I do believe are essential oils so if you have perioral dermatitis, I would hesitate to recommend. I also think that essential oils, in general, are not often helpful to those with sensitive skin. I will emphasize that I state "not often" helpful so each person's skin is different so patch test to check for adverse reactions. Overall, my skin did feel calmer and more soothed after application. This did decrease redness and plump my skin but it does leave a thin residue. This is not a bad thing as this is supposed to help seal in moisture and shield the skin from further irritates. Those with an oilier skin type might find this too heavy but for my combination skin, my dry areas soaked it in while my oilier areas felt more balanced. I do feel after consist use, this did help repair and strengthen my moisture barrier. My skin just felt stronger, less irritated and sensitive. I also used this on spots of eczema and this cream did decrease the flaky, itchy feeling. 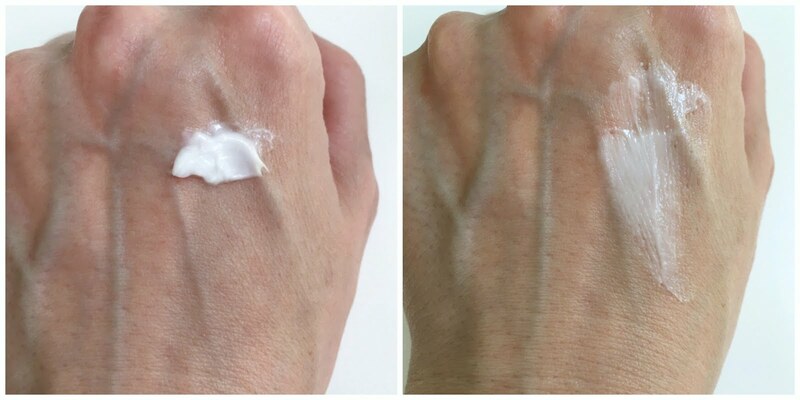 Although I do love the de-sensitizing factors of this cream and that it is extremely moisturizing, this was a bit too heavy for my combination skin for daytime use. I would be very comfortable using this as a night cream in the summer because I lived in a recirculated, air-conditioned environment and my skin is often dehydrated. This definitely increased my hydration and moisturizing levels by 30-40% so I think this would be a perfect final layer in the winter time when my skin can tend to be more dry and dehydrated thanks to running the heater. I would repurchase to test this product for use in the cooler months as I would not necessarily reach for this cream during summertime as I prefer layering lighter weight products. The only exception is when my skin is a bit flaky, one of the downsides to using a retinoid so this cream would definitely come in handy when I have "tret face".